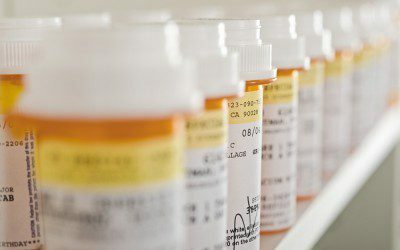 Diabetes drugs that contain saxagliptin or alogliptin may increase the risk of heart failure, especially in people who have heart or kidney disease, according to a new drug safety communication from the U.S. Food and Drug Administration (FDA). The FDA will be adding new warnings to the labels of affected drugs outlining this safety issue. Saxagliptin and alogliptin belong to a class of drugs known as DPP-4 inhibitors, which are used, along with diet and exercise, to control blood sugar levels in adults with Type 2 diabetes. The medicines that contain these ingredients are Onglyza (saxagliptin), Kombiglyze XR (saxagliptin and metformin extended release), Nesina (alogliptin), Kazano (alogliptin and metformin), and Oseni (alogliptin and pioglitazone). The FDA’s warning is based on two large clinical trials conducted in people with heart disease. In both studies, more participants taking medicines containing saxagliptin or alogliptin were hospitalized for heart failure than participants taking placebo (inactive treatment). In the saxagliptin trial, 3.5% of people using the drug were hospitalized for heart failure compared to 2.8% of those taking placebo, while in the alogliptin trial, 3.9% of those using the medicine were hospitalized for heart failure, compared to 3.3% of those using a placebo. In the saxagliptin study, a history of heart failure or kidney problems were found to be risk factors for hospitalization. People with Type 2 diabetes who are taking these drugs should not discontinue them without speaking to their doctor first. Those who are using one of the affected medicines who develop signs and symptoms of heart failure should contact their doctor right away, according to the FDA. These signs and symptoms include unusual shortness of breath during daily activities; trouble breathing when lying down; tiredness, weakness, or fatigue; and weight gain with swelling in the ankles, feet, legs, or stomach. For more information about the FDA’s warning, see the agency’s press release on saxagliptin and alogliptin. And to learn more about heart failure, read the article “Living Well With Heart Failure,” by certified diabetes educator Joy Pape. Do you live in the area of Memphis, Tennessee? Then you may be interested in the upcoming “Taking Control of Your Diabetes” health fair at the Memphis Cook Convention Center. Bookmark DiabetesSelfManagement.com and tune in tomorrow to learn more.